HOME PRODUCTS &AMP; SERVICES DIRECTORY OF SUPPLIERS JFW INDUSTRIES, INC.
JFW Industries is a leader in manufacturing Attenuation and RF Switching products. Founded in 1979 in Beech Grove, Indiana, JFW Industries Inc. is a world leader in designing and manufacturing passive RF components and application specific test systems. 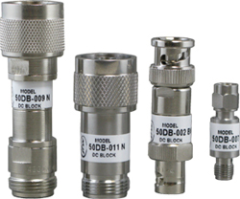 These components include attenuators, RF switches, and specialized test systems for use in the cellular, telecommunications, OEM test equipment, medical, automotive, defense, and automated test markets. Innovative new designs and a focus on customer requirements have allowed JFW to maintain steady growth in many key market segments. JFW has over 120 dedicated employees, diligently working two shifts to ensure quality assembly and on-time delivery. Each one of their dedicated employees represents JFW's over 30-year commitment to providing reliable RF solutions. Beginning with an industry renowned Customer Service Department, everyone at JFW strives for complete customer satisfaction by responding to the needs of each customer individually and providing the RF component or system that best suits that customer’s application. JFW is an ISO-9001:2008 registered company. They have over 14,000 square feet of design and manufacturing space, located in Indianapolis, Indiana (USA) with a European office located in England. They currently operate two full-time shifts and are equipped for most facets of the design, assembly, integration and testing of RF technologies. JFW offers custom designs at catalog prices, fast delivery and no NREs! Everything from test instruments to test and inspection strategies, and equipment used in testing. Look for your first issue of the Electronic Test Equipment newsletter to arrive soon. 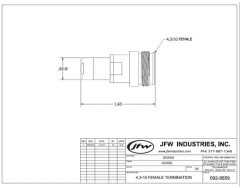 View More Product Announcements from JFW Industries, Inc.